10 Aug What does well-being mean to you? How about in the workplace? 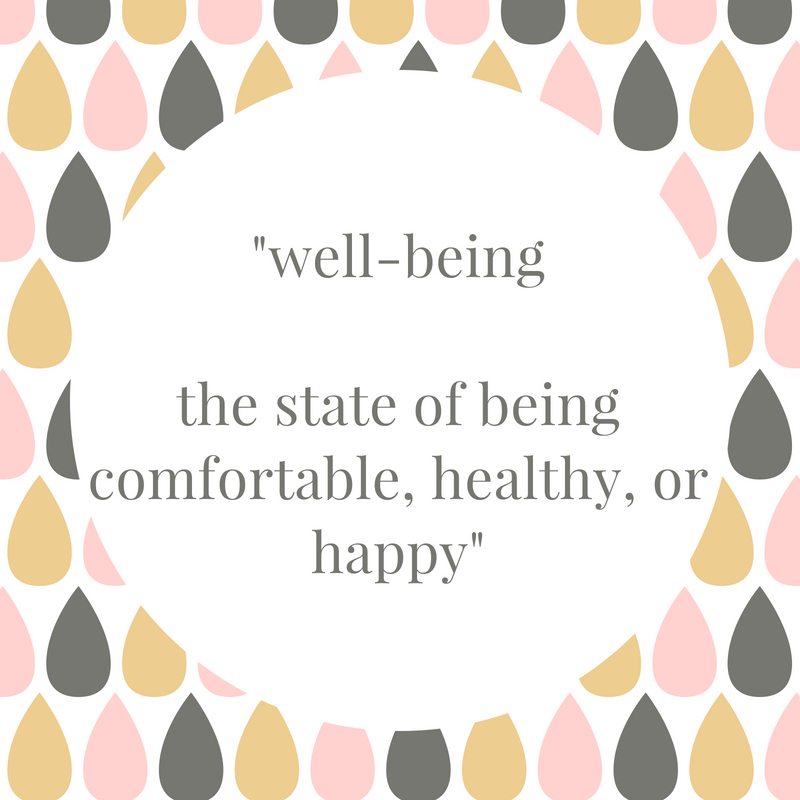 What does wellbeing mean to you in the workplace? The World Health Organisation defines well-being as “an individual’s experience of their life, as well as a comparison of life circumstances with social norms and values”. What we translate this to mean is that wellbeing is about more than health, it relates to your lifestyle, how you fit within society and – more importantly – how you feel. We spend a lot of our time working, on average 42 hours a week, how we feel whilst we’re in our place of work has a direct impact on our wellbeing. Wellbeing in the workplace is about helping your employees to be content, healthy and happy. Therefore, a business with healthy and happy staff will enjoy high-levels of staff morale, productivity and ultimately, enjoy healthy, ongoing business results. Where possible, you should always encourage your employees to be open about their health and wellbeing at work. Providing flexible working set-ups for those with health conditions. Running education programmes for all staff to remove stigmas around conditions such as mental illness. Implementing rehabilitation programmes to actively support staff returning to work after a health issue. Promoting a healthier lifestyle with an ergonomically designed workspace. Work smarter, not harder: productive employees don’t work the long days and they take plenty of breaks to maintain their focus when they’re working. Take control of your emails; Set specific times in your day when you’ll read and respond to them, such as morning, lunch, and end of the day. This way you avoid constant disruptions. Step away from your desk; At lunchtime, go for a swim, have a phone call with a relative, take a walk. Take your mind off work even if it’s just for 30 mins, let yourself relax, switch off and have your own thoughts!